But by clever attention getting moves like declaring his desire to see Obama fail, and a crowd-pleasing CPAC speech aired on Fox, this year. 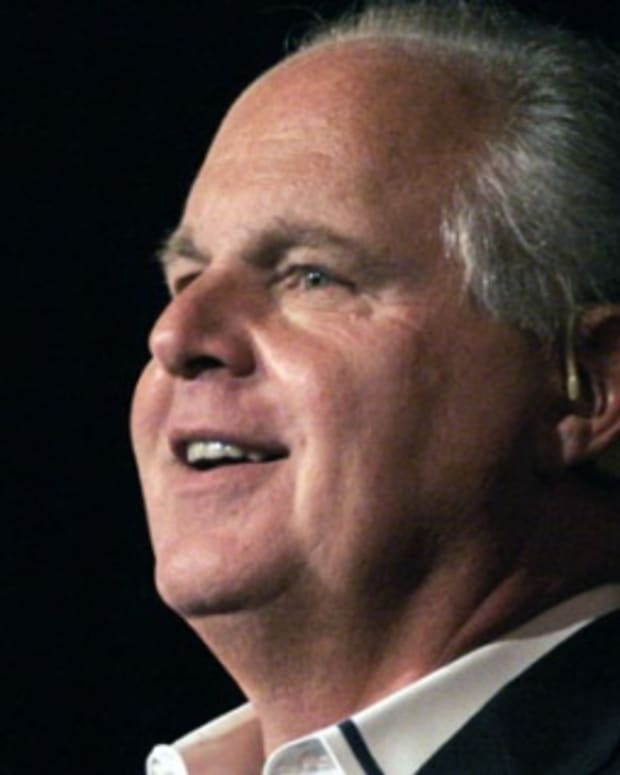 So while Rush is rising high as the de facto leader of the opposition, it&apos;s likely his last gasp of importance. “How far will he go? You don’t know what might come out of his mouth. What if he truly goes to war against the leadership? He could, you know, if he wanted to just split the party. Walk out with the hard-core conservatives. He could and he knows it,” said my moderate-Republican interlocutor. 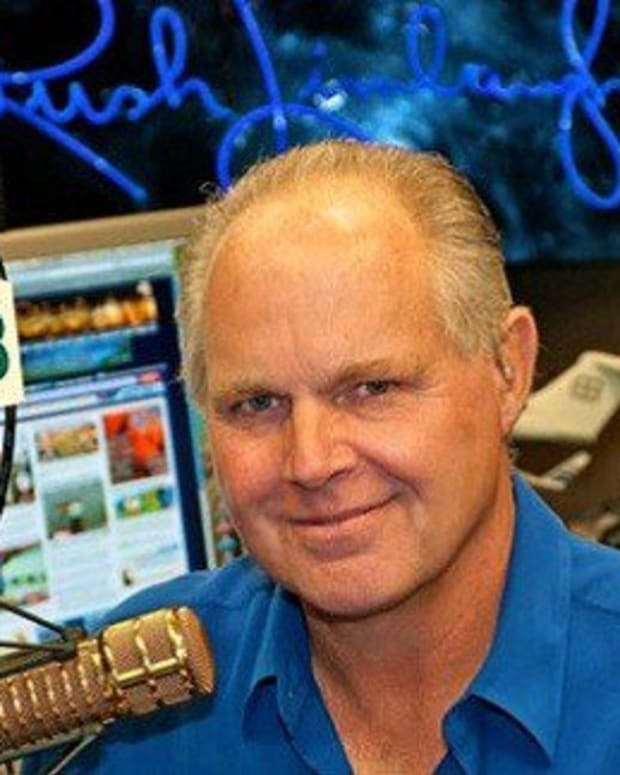 I&apos;m not sure I agree with this assessment that Rush is on his last crusade; while his power to actually sway American politics depends largely on how well the American people decide Obama has navigated/mitigated the crisis, Limbaugh&apos;s aging crowd does have disproportionate electoral importance, and while "radio" may be dying, the spread of news and entertainment through the human voice over some medium or another still has life in it--I&apos;m sure at least as much life as Rush&apos;s corporeal form. Michael Moynihan from last month on the recent wave of kissing Rush&apos;s newly svelte behind amongst GOPsters.